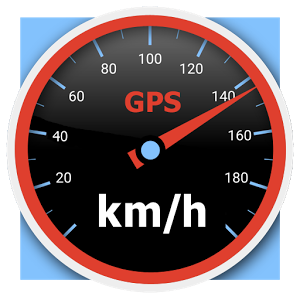 Use this GPS speedometer with altitude, geo-location, bearing and current time, especially when you are not driving a car but going by bicycle, by train, by boat or even by airplane. With "HUD" (head up display) turned on you can put your device in front of mirroring glass (of an vehicle) to read the reflected displays. You can quickly display the current geo-location without the need of an internet connection. Simple displays but many possible options. * receive and use collected values such as distance, max and average speed from the basic version of this app ("Kwd Tacho") - Make sure to have the latest update of both apps (version 1.81 or above). Your device needs a GPS sensor to run this app. If you are using Android 6.0 or higher you will be asked at app start for the location permission (and not on install). In case you are not asked you may have not allowed location access before. Then you have to go to the app settings of your device and enable the permission under the entry of "Easy Speedo Pro" again. The alarm function has been changed. You can now turn on an alarm *sound*. The menu structure has been improved and made easier. Units are adjustable from just one menu or the context dialogs. The former One touch settings are now called Fast options.